What Power Does my Raspberry Pi PCB Need? The Xtronix PoE adapter can supply up to 1250 mA of current (6.25 Watts) and is more than adequate to supply the Pi PCBs in the above configurations. 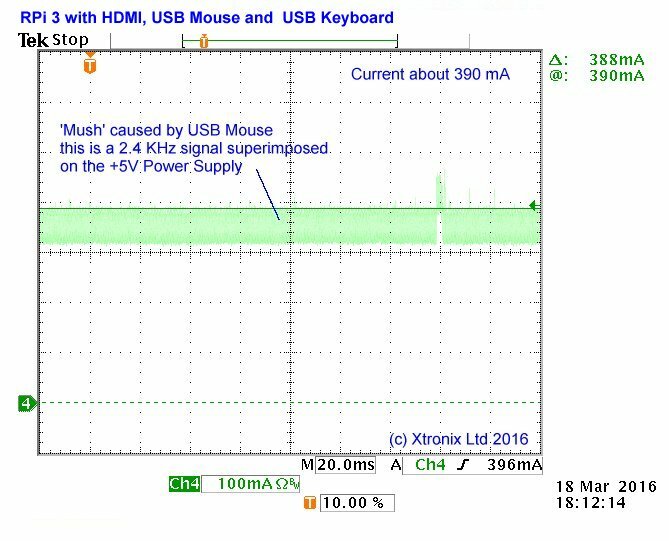 *** On the RPi 3 Model B+, it is recommended that the maximum PoE power drawn is 1amp from the Xtronix PoE adapter. The Xtronix PoE adapter can supply 1.25 Amps, but the RPi PCB may need forced air cooling as there is some extra heat generated by the PoE adapter. The above figures are 'typical. 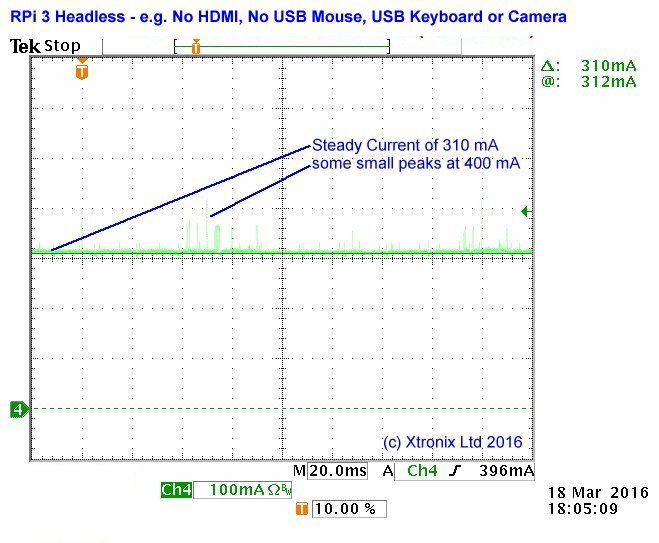 They are measured on one example of each configuration using a Tektronix Digital oscilloscope with a Tektronix current probe. The operating system on each PCB (except the RPi 3 Model B+) was Raspian from NOOBS 1.8. Raspian GNU/LINUX 9 was running on the RPi 3 Model B+. The RPi 3 Wi-Fi was operational during the testing. The above are 'steady state' measurements and it should be noted that during Boot Up and other times the current drawn (and hence the power) peaks above these values. In general terms, during boot up, the current peaked to twice the above values. 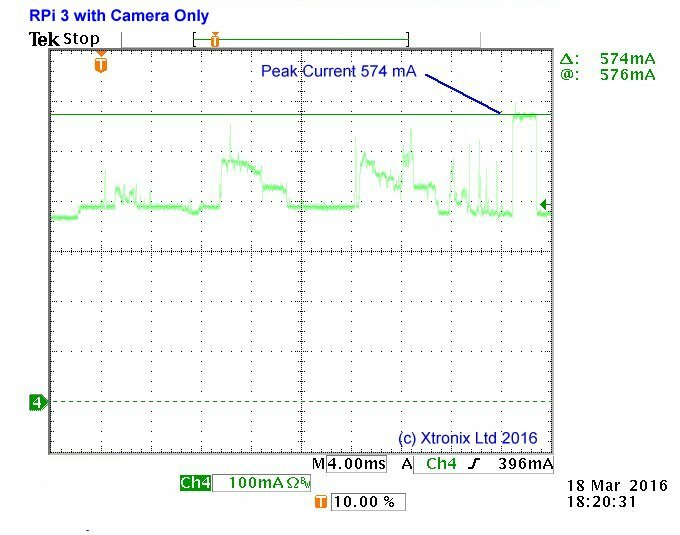 Here are some oscilloscope traces showing the 'Peaky Current' when the camera is used. Note: these are 'current' traces not 'voltage' traces.